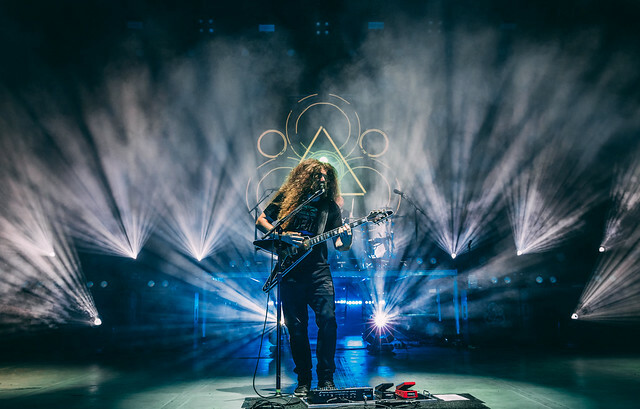 Coheed & Cambria Release Live Music Video And Announce 2019 U.S. Tour Reviewed by David Zeck on November 15, 2018 . Coheed & Cambria have had quite the year in 2018, and the Upstate New Yorkers don’t seem to be slowing down. The band has delivered not one but two announcements for fans. The first being a pro-shot live music video for the track “The Dark Sentencer” off their latest album, Vaxis – Act I: The Unheavenly Creatures via Roadrunner Records. The video for the track is visually stunning much like every Coheed Performance, see the full video below for yourself. The second batch of news is even better, Coheed & Cambria have announced 2019 U.S tour dates. 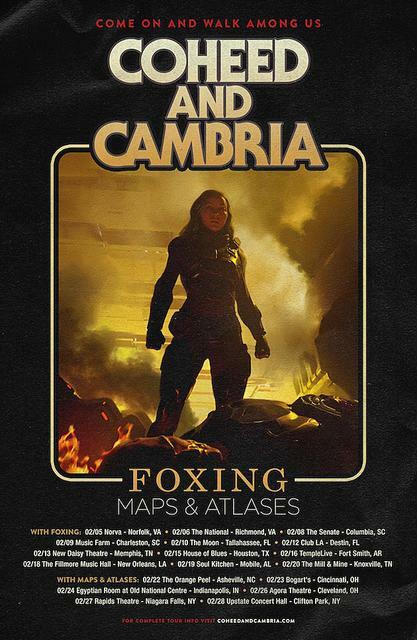 The tour which is dubbed Come On and Walk Among Us, and will find Coheed bringing Foxing on the road with them for the first half. Then for the second half recruiting Maps & Atlases for the trek’s remaining dates. The tour will begin February 5th in Norfolk, Va and finish up February 28th in Clifton Park, N.Y. Check out the full list of dates below and the tours flyer.